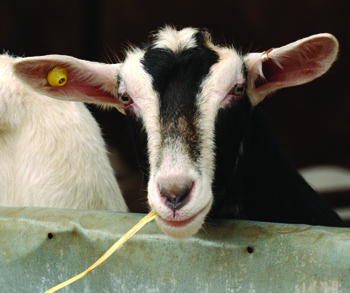 In our latest article on Skins Matter, we report on the case of a woman who developed a rash after several weeks using a body lotion containing goats’ milk – and despite ceasing using the product as soon as this happened, she later developed a serious food allergy to goats’ milk. Similar stories – with wheat proteins in soap, and nut products in creams – are known to have had similar consequences. Natural skincare is a major interest of ours, and we’re great supporters of producers who aim to use clean botanicals in their skincare as much as possible. Food allergen law recognises 14 key allergens, and many are used in cosmetics – including gluten grains, milk, nuts and sesame. As natural and wholesome as these ingredients are, and as beneficial as they may be to the majority of skins, we cannot pretend that they can’t cause serious problem to a small percentage of people who live with allergies. One of the key themes of this year’s FreeFrom Skincare Awards turned out, curiously enough, to be goats milk products, and we received entries from Chuckling Goat, The Little Goat Soap Company, Cyril’s Soap Shed, Lomond Soap and Fielding Cottage, who include goats milk in some or all of their products. We have also recently rounded-up some comments from our Beauty Bible testers of the goat-y shortlisted products here, and as you’ll see if you read them, a lot of people really enjoyed the products and found the products beneficial. But although the products were good, not all users got on with them, and this difference of opinion reminds us of a very important point: we all have unique skins. Often, finding the skincare routine and cosmetic products that suit you, especially if you have problem skin, is a matter of experimentation, of trial and error. Lots of additional factors may come into play – the weather, stress levels, diet, clothing and so on. Skin tolerance – and intolerance – is an unpredictable thing. It can be a bit of a lottery. What works for one, will not for another. When it comes to food, we say “One man’s meat is another man’s poison”. Perhaps we need a similar saying for skincare. “One woman’s aloe vera, is another woman’s stinging nettle”? We’re sure you can do better! We know from the feedback we receive from Beauty Bible testers for the Awards that stumbling across a product which really suits their skin, and brings relief to their issues, is a real out-of-the-blue joy to sufferers. “I’ve tried dozens of products over the last five years for this problem, and nothing has worked – now I’ve found this miracle worker. I can’t thank you enough.” We receive lots of messages such as this, and it always makes us feel that the work we do really is all worthwhile – as it does the manufacturers to whom we pass fan mail on to. We sometimes try to play amateur dermatologists, and closely look at the ingredients, and try to fathom which of them – or which combination of them – turned out to be the magic bullet for that particular user. Often, though, there doesn’t seem to be anything that stands out, nothing radically innovative in the formulation – just some good, solid, botanical, skin-healthy ingredients, which clearly worked just perfectly for at least one consumer. Experience has taught us that there is a product out there for everyone, and that every product is right for someone. Even when a product does badly with most testers in the Awards – there will often be at least one for whom it’s a godsend. So we’ll carry on doing our best to tell you about as many out there as possible. Meanwhile, the best advice if you have sensitive skin and allergies is perhaps to aim for fragrance free and food-allergen free skincare. As ever, it’s a good idea to speak to your dermatologist about your skin’s health. If you’re unsure of trigger ingredients, patch testing an help identify potential allergens – which may turn out to be a natural preservative or essential oil, as well as a food or other ingredient. There’s further advice on patch testing in our article here, and don’t forget to check out our ever-growing directory of skincare ranges free of certain food allergens too. Do also tell us what you’d like us to explore in this subject and of any product that you struggle to find on the shelves … we’ll do our best to help.